I know a lot and I know a little. We all do. As I work on building momentum in my blog, I’ve been taking time to read more from other bloggers whose real experiences provide a grounding that many online articles from “experts” can only suggest. I’m writing my series about curation — what it is and my process as a researcher for others and for my blogging. Much of my process developed from ways that my students and I did together in our research in projects. I wondered how teachers using project/problem-based learning helped students curate their research and their work [portfolio]. So I hopped on over to Charlene Doland‘s blog because she certainly inspires passion with PBL in her classroom. 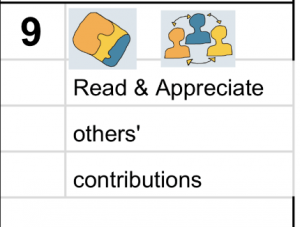 In her post on February 8th about PBL Builds Maturity, she mentioned an app her students use to track their collaborative goals and project tasks: Trello. I’ve heard about Trello many times, but never took the time to try it since I’ve got a flow going and teams in Slack. But pertinent to my study of curation is Charlene, a teacher who practices PBL. 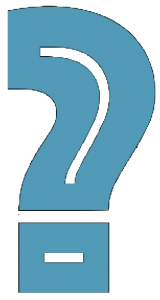 And to my query — what do students of PBL courses use for curation? — she mentioned a possible answer. 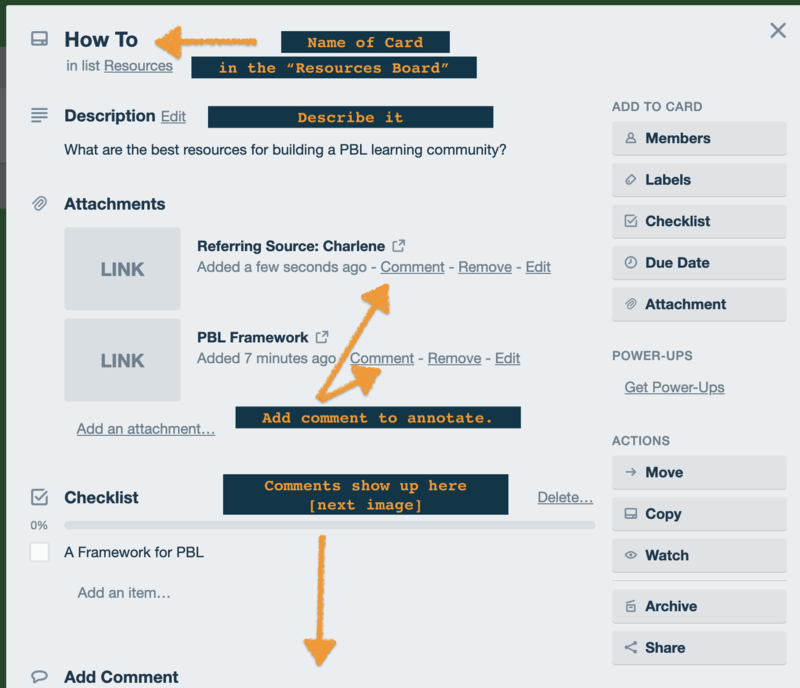 I signed up and played around, creating a “board” for PBL, using the resources in another of her posts to curate in Trello: Her post is PBL = Good Business. In the same post, she shared a wonderful resource I know she’s referred to before, High Quality Project-Based Learning. So, in the “Resources Board” on a “How To Card,” I added that information and her post as the referral so I could follow the path I took to find that source. It looks doable as curation with annotation and the ability to collaborate. If you have any questions about PBL, seek counsel from Charlene Doland. I’ve learned much from her and glad to have her in my online neighborhood. Learning is a social activity: I know a lot because of my interactions and learning from others. I’d like to thank Charlene for sharing her knowledge with us, and for her ongoing commitment to connected learning for herself and her students. She inspires authentic learning in all she does. I appreciate her insights in her blog and in our conversations. Thank you for adding to –not just my knowledge– but also the critical thinking, creative collaborations, and many smiles from my circle of online friends who show that humanity is good. 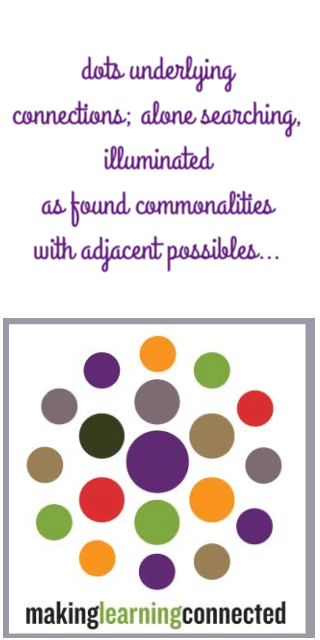 Who is your “go-to” person or what “go-to” resource have you for PBL? Thank you, Sheri! I am equally pleased to be part of YOUR neighborhood! It’s a pleasing name for groups of people who like to “hang out,” chat, challenge, share ideas, (if only virtual coffee were available). 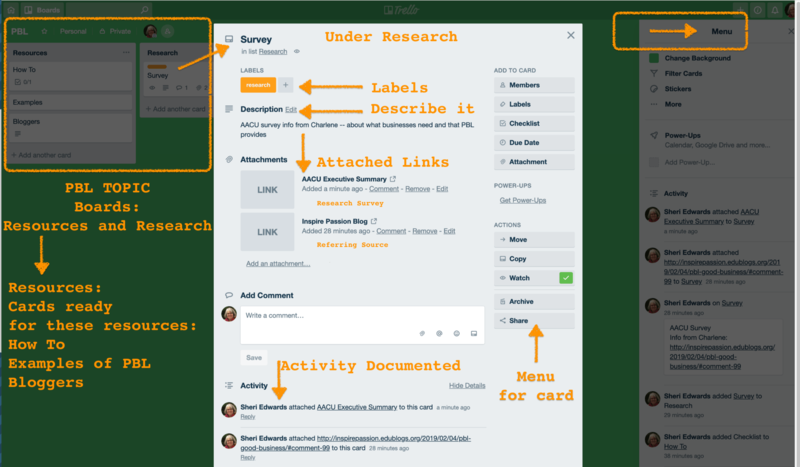 Interesting application of Trello, too. I know Trello touts itself as a tool-for-all-purposes, and you just provided a great example. P.S. What tool did you use to annotate your screen shots? Hi Charlene, I use Apple Preview most of the time, although I also have and love Snagit. I’m not sure I’ll use Trello, but it’s good to know all the possibilities if that’s the tool the school wants you to use!